Anyone else’s mind jump straight to the Usher track whenever they hear the word confession? No, just me? That’s cool. I’ve come to terms with my embarrassing and unwavering love for Usher during my junior high years. It’s fine. But on the real – I thought it was time for a life update since it’s been a minute. I started sharing my journey through medicine, and life in general, on here and Instagram because I wanted people to feel less alone in their struggles. In this age of social media, it’s easy to fall into the mentality that everyone has their life together except you. But that’s obviously not the case – we just choose to present our best selves to the world. And on the surface there isn’t anything wrong with that as long as we can remember that there is so much else going on that is not being shared. But in the past couple months, since finding out I failed step one again, I’ve started to feel like I’m folding into myself and only presenting the highlights of my life. And while I don’t owe anything to strangers on the internet, I feel it’s important for me that I continue to present myself honestly. Since December I’ve hit one of the most severe bouts of depression I’ve had in my life. I’m pretty sure I’ve struggled with both depression and anxiety for most of my life but wasn’t clinically diagnosed until starting medical school. Stress has always been a huge trigger for me and obviously failure, and step one in general, is stressful. Having been through similar, but less severe, episodes in the past I tackled my depression head on with the things that have usually helped me. I continued taking my medications, working with my therapist, etc. I put away my books and I traveled. I spent time with loved ones and my kitten. And I convinced myself that I was feeling better and dove back into studying as the new year began in January. But I wasn’t okay. I was struggling badly. I couldn’t focus. I was irritable. I had so much trouble sleeping. I was nauseous all the time. I hand anxiety attacks weekly that were almost as bad as the ones that initially drove me to seek help. So I sought council from those I trust and one of the deans at the SOM recommended that I get tested for learning disabilities in case that there was something making it harder for me to succeed and adding to my stress. I realized that it was important for me to set my ego and internalized stigma towards disabilities aside and truly find out if there were accommodations out there that would help me with both my studying and in my exam taking. It took months before I was able to find someone who accepted my insurance and saw adult patients but I finally got an appointment about a month and a half out. Those of you becoming psychologists, thank you, you are so needed. Around this time, 45 also started his presidency in the United States. I think it’s pretty clear from my previous posts where I stand politically. The US has always had a dark history when it comes to marginalized peoples but something about the blatant disregard/outright support of the xenophobic rhetoric during the elections made the inauguration sting so much more than I had anticipated. Every executive order and tweet and confirmation has truly felt like a personal assault. It’s taken weeks for me to be okay with the fact that my resistance, at this moment in my life, is almost always in pursuit of my career. I will continue to do my best to be aware. To understand the struggles of those who look and live differently than I. To educate and have the difficult conversations. To organize. To put my body on the line as often as possible when my sisters’ and brothers’ human rights are at risk. 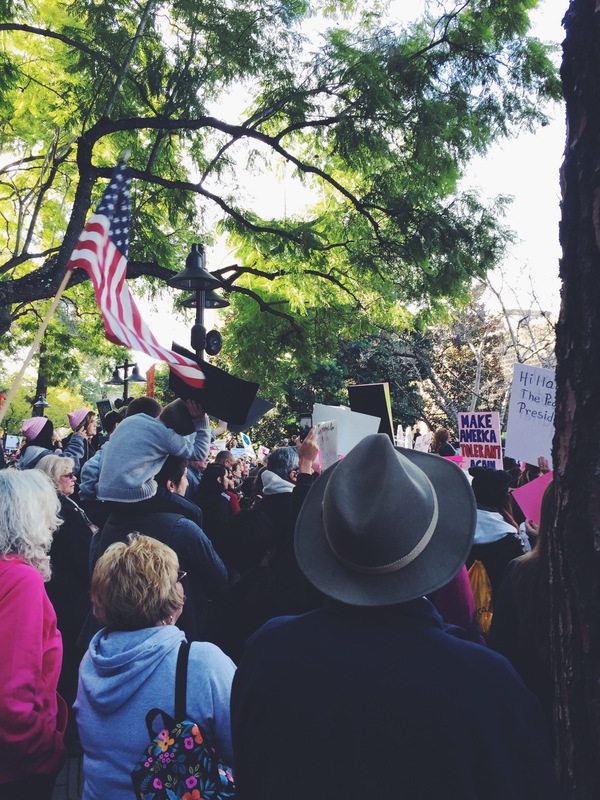 But for the most part – my resistance is hours and hours of studying to pass an exam so that I may advocate and care for my patients. And for now, that has to be enough. Meanwhile, I did my best to continue studying. I searched online for tutoring programs for medical students that worked through video chat. I wasn’t ready to pick my whole life up and move to another state again, as I did when attending Wolfpacc in the summer. It was clear that I had made the most progress in my studying in the months after I had returned home and worked hard on my own. I’m certain that the most helpful aspect of being at Wolfpacc was being in a supportive environment surrounded by people who truly understood the struggle but I did also miss the tutors and the structure they provided. I also missed having someone to run my study schedule by to ensure that I was as effective as I could be in my studying. I missed doing questions with a tutor and running through my thought process with them so that I could identify holes in my knowledge. And that’s when I stumbled across Med School Tutors and was immediately intrigued. I had the opportunity to do one-on-one tutoring from home with someone who would also help me create a schedule that worked for me. It sounded perfect! Now, I don’t think that this is something that necessarily everyone studying for USMLE needs. But having been at this for so long, I knew I needed more encouragement and reassurance this time around and I’ve found exactly that in working with a tutor through MST. Their entire team has been so incredibly supportive of my goals. The thing that I love most about MST is that they share my values. When I opened up to them about how much I had been struggling, they immediately reassured me that taking care of my health, both physical and mental, is the priority. They helped me rearrange my tutoring schedule at no additional cost to work best for my needs. Having a group of people who’ve essentially been cheering me on through the struggle of doing this for a third time has been such a blessing. If you do decide to check out MST, please cite me as your referral. This post isn’t at all sponsored by Med School Tutors but I do want to disclose that I will get a free hour of tutoring if you decide to work with them. While struggling through all this I started falling victim to some really serious negative self talk and began to struggle with so many of the things I often warn you all about: feeling shame in the face of failure, constantly comparing myself to others, etc. and it started to take a serious toll. Part of the ugliness of depression is that it’s hard to separate when your thoughts are due to the illness versus when you’re actually right in your introspection and reflection. It’s taken me some time to be able to separate those two things and journaling daily has really helped me with that. I’ve been drowning myself in self care & self love and really doing my best to replace the negative self talk with positive affirmations. I’ve taken the last couple weeks off from studying and really focused on getting back to feeling like myself. In my appointments with the neuropsychologist, we ruled out any learning disabilities but in talking to him about everything I’ve been through and am going through the past couple years, I realized that my depression and anxiety haven’t been managed as aggressively as they should’ve been. My primary care physician had been treating me until now and she isn’t the greatest when it comes to mental illness. (Another reason why I continually come back to a career in family medicine. We so badly need primary physicians who can provide holistic care. Shout out to all my future FM docs! I’ve got so much love for y’all). While talking to a close friend about this, she asked me why I hadn’t sought care from a psychiatrist over the past couple years that I had been dealing with my undertreated depression and anxiety. And I had no real answer. I later realized that it was because I, someone who constantly advocates against mental illness not being a true disease, had been downplaying my own mental illness for years. I hadn’t sought care from a psychiatrist, knowing that my PCP wasn’t doing a great job treating me, because I didn’t think it was that bad. I expected myself to pick myself up and just brush it off. I didn’t want to be someone who had a psychiatrist, and thus, label myself crazy. Why is it so much easier to show others compassion than ourselves? If I’d sought treatment for my mental illness as I’d encourage my patients and loved ones to do, the past couple years would have been so much easier. So in the past few weeks I’ve talked to therapists and psychologists and psychiatrists and finally feel like I’m getting the care that I need. And while I’m still not feeling 100% like myself again, I’m finally caring for myself as I’d want my patients to care for themselves. I’ve spent a lot of time protecting my heart from those who try to dismiss my experience when I share my struggles and recognizing how strong I’ve been for so many years. I’m spending the rest of this week doing things that truly bring me joy, surrounding myself with the incredible people who have held me up in these difficult times often without even knowing it and simply finding gratitude in the little things. I found out last week that the NBME accepted my appeal to expunge my score from my second attempt – you can read about my test day experience here. That news really helped restore my faith in ‘the system’ because I’ve recently been feeling like I’ve dedicated so much of my life to a field that doesn’t truly care about its people. I also found out that I was accepted to WISE’s Muslim Women’s Summit later this year, which will help me become a more effective activist and advocate. I’m still figuring out the details of my trip to the east coast but give me a shout if you’ll also be at the conference! I know that I have what it takes to pass this exam and have an extraordinary career in medicine. But I’m still learning and unlearning what it takes to truly care for myself and be my best self. Thank you for your company on this journey. It’s been a few months since Donald Trump won the election and yesterday he was inaugurated. And as I type that, my heart is aching and there’s a pit in my stomach. Because my brain cannot comprehend how, setting aside politics, we can go to a first family that was the epitome of class to this person whose entire campaign seemed to rest on hatred. So yesterday, I allowed myself to mourn but today I’m getting to work. I’m going to stay woke and aware because that’s how a democracy works. It’s my responsibility to make sure the rights of my sisters and brothers are not taken away. And I’m starting by participating in the local sister march to the Women’s March on Washington. While I think it’s wonderful that people are traveling from all over the world you be in DC, there’s something about marching with my own community that feels so right. Alongside my sisters, my future patients, elders from my masjid, professors at local schools, organizers from this very community. I can’t imagine a better way to state my intentions for the next four years. 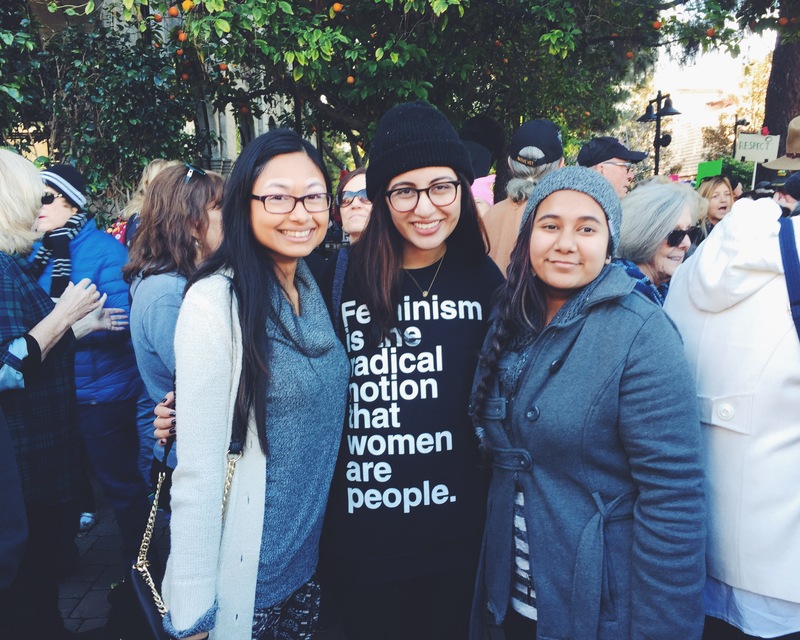 I’m marching because my parents came to this country in search of the American dream – to build a better life for their family and have instead been faced with hatred towards their faith despite all the good they’ve done as citizens. Because religious freedom is integral to this nation being a just democracy. I’m marching because, one day, I want to raise a family in world I believe in. When future generations ask what part I played in this reality, I want to be able to answer with pride. I’m marching for my future patients – to ensure they all have equal access to superb health care. Because I believe in a woman’s right to choose. Because we need major revamping in the way we train our physicians. Because the lack of access to mental healthcare in this country is truly horrific. I’m marching for clean, renewable energy. For immigration reform. For affordable education. For racial justice. For gun control. For livable wages. For universal access to basic necessities like clean water. For paid family leave. To stand with our sisters and brothers fighting against police brutality and with those protecting their native lands, Standing Rock and all across the country. To ensure the citizens of the world know that I see them. I hear them. I will do my part to protect them from irresponsible wars pursued in the interest of a powerful few. As citizens of a democracy, it’s our responsibility to stay aware and provide continuous feedback to our representatives. It’s our responsibility to ensure they uphold the values of justice, compassion, love and to get loud when they don’t. We have to continue to show up, even when it’s inconvenient. Especially then. This is just the beginning. Let us rise. I did a whole lot of reading towards the end of 2016 and below you’ll find a few of my favorites. Towards the end of the year, I really tried to read more non-medical and self help type books since that’s usually what I’m drawn towards and I’ve always thought of reading as a way to broaden my horizons. Enjoy! What are you all reading these days? Many of us who aspire to be care givers tend to be exactly that: givers. And as we continue through our rigorous career paths, we often push aside our own needs and continue to give and give until we have nothing left for ourselves. I’ve been guilty of this for most of my life. I used to think this was a noble, unselfish way to live. That I was living the way God would want me to – by continually putting the needs of others before my own. And up until I started medical school I did alright living my life this way but as soon as school started I began suffering. It took me months before I realized that living my life in this way was not sustainable, was actually detrimental to my own health and inhibited my ability to succeed in school. For the first time in my life, I began to consider what I needed and it was a very strange feeling. There was a lot of unlearning that had to take place about what it meant to be a ‘good friend’ or ‘good daughter’ or ‘good wife.’ I learned my limits and realized that I was of no use to anyone – not my family, my friends, my patients – unless I was good on my own. I started incorporating self care into my daily routine through various means like journaling, yoga, exercising regularly, evening strolls, writing & sharing my struggles, and learning the word no (& being able to say it without feeling guilty). I’ve always loved the idea of wearing jewelry that’s meaningful in some way. I wear mantra bands that say ‘be you, love you. all ways, always.’ and ‘SHE BELIEVED SHE COULD SO SHE DID.’ Other pieces I’ve collected in my travels. So when I stumbled upon Fred + Far’s Instagram account, I was immediately intrigued. Self love is a work in progress and I can constantly sense myself falling back into old patterns so having a ring that reminded me, every day, to prioritize my own well being has been wonderful. When I first started wearing the ring, it felt too big or too flashy for a ring that’s meant to be an expression of self love. I felt guilty for spending so much money on something for myself. But as with prioritizing self care in my life the past two years, it started to feel as natural as wearing my wedding set every day. If I’m ever so blessed as to raise a daughter, I hope that I can pass this ring onto her. This life can be stressful and beautiful and heartbreaking but I know that as long as I’m in my own corner, I can get through it all. You can visit Fred + Far’s website here to learn more about their story and products. 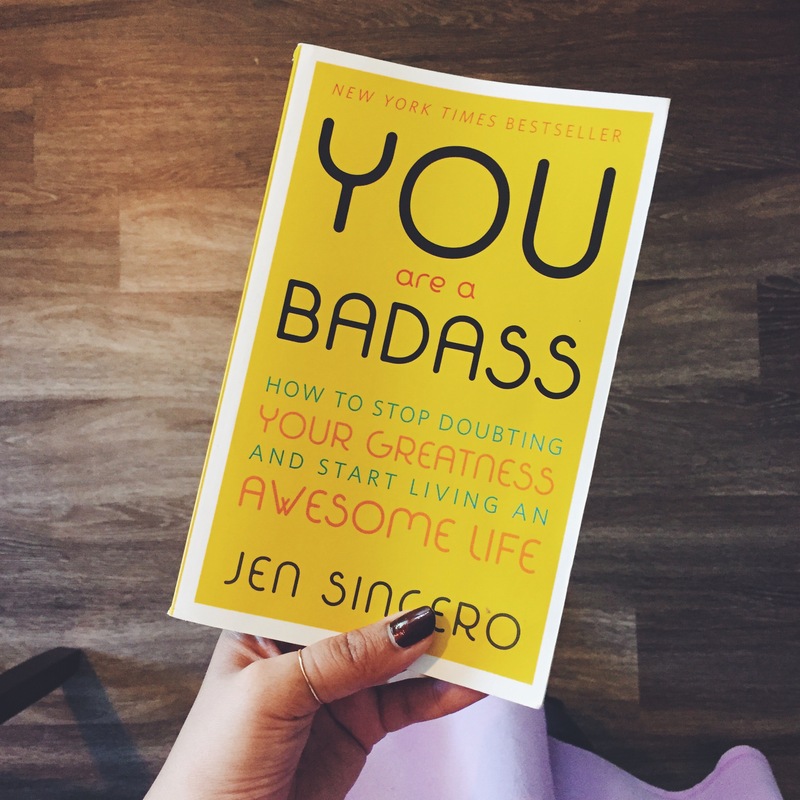 When flying to Florida for my review course, I saw someone at the airport reading You are a Badass: how to stop doubting your greatness and start living an awesome life by Jen Sincero and was immediately intrigued. It’s no secret that I greatly appreciate a good self-help book and while roaming around Target on a particularly off day in my studying, I picked up this one (anyone else always walk out of Target with 3924238x as many things as they came to get?). Look what happens with love like that. It lights up the sky. But, unfortunately, it didn’t do much for me. Most of the book felt very redundant and none of Sincero’s ideas felt particularly revolutionary or new. I realize she’s ‘preaching to the choir’ with her ideas because I’m very passionate about self reflection and regularly check in with myself to ensure my life is heading in a direction I want. For those who want to understand how they can better their lives but are at a loss as to where to start, this could potentially be a good option. The only part of the book I truly disliked was the chapter on depression. She made having depression sound like you’re throwing yourself a pity party and that you could just ‘get over it.’ Depression is a clinical diagnosis and shouldn’t be interchanged with sadness. Using medical diagnoses so freely can be extremely dangerous because it makes people feel even guiltier about their behaviors when it’s actually due to a chemical imbalance in their brains. We wouldn’t throw around diagnoses like diabetes and hypertension like they’re just describing a craving for sweets or being angry, so we should do the same when it comes to psychiatric diagnoses. The final chapter ‘Beam Me Up, Scotty’ was definitely my favorite. It inspired me to stop making excuses and finally start brainstorming and working on the books I want to write so for that, I will be forever grateful to Jen Sincero. There are so many reasons to put off the things that are important to us but nothing will ever get done unless we prioritize and invest our time in things that are actually worth our time. I’m currently studying to retake USMLE step one and while I’m disappointed that I wasn’t able to pass this exam the first time around, I’m definitely grateful for the opportunity to hone my test taking skills and learn how to be a better physician with the wonderful people at Wolfpacc. One of my biggest problems while taking multiple choice exams is being ‘seduced’ by some of the other answer choices so I’ve always felt that my exam results don’t always show how much I know about a topic. In undergrad, and now in med school, I’ve always performed better on free response questions because I have the chance to display what I know about a topic. In the past, I’ve tried to answer multiple choice questions as if they were free response (not looking at the answer choices) but I finally feel like I have a strategy I can use for the many tests I will be taking over the years. People’s test anxiety presents in different ways. For some, the days leading up to the test they’re unable to sleep properly. During the exam they’re tachycardic and cannot focus long enough to get through a question. My problem, and maybe this isn’t even test anxiety, is never truly feeling sure of my answers and doubting myself easily. I’ve gotten into the habit of never changing my answer unless I’m 200% sure that the second option is correct. But often, even when I’m just thinking about what the answer can be, I question my instincts to the point that I don’t actually know which one feels more right to me. Cover your answer choices. Don’t just say ‘I’m not going to look at them’ because you will. Use a sheet of paper or something to physically block you from seeing the answers. Read the last sentence of the vignette and summarize it. Most of the time there is a lot of excess information in the paragraph above. If you read the question before reading the paragraph, it’ll be easier to identify what information is actually relevant. So take the time to really understand and simplify the question. Talk to your patient and find hints. One of the professors here has encouraged us to think of the vignette as your patient. Some of the information they tell you will be very relevant to answering the question and the rest may be useless. You have to learn to distinguish between the two. As you do more and more practice questions, you’ll pick on some patterns. Answer the question yourself. Before you’ve uncovered the answer choices, write down what you believe the answer is. Sometimes you’ll remember some details about it but won’t remember the exact answer but you should write down whatever your answer would be if this was a free response question. Uncover the answer and pick whichever one matches what you wrote down. Even if one of the other answer choices starts to look more appealing, you still need to choose the one that matches what you wrote as your own answer. This is important for when you’re going over your question set afterwards and I’ll explain why later in this post. Move on. Don’t overthink the question or your answer. Sometimes you won’t really know why you think something is the answer but you need to trust your gut. A: my own answer to the question, without having looked at any of the answer choices. Now, when you’re doing practice questions you have to remember that reviewing the entire test, including the questions you got correct, is just as important as answering the questions. This is when you correct both your technique and any holes you have in your knowledge. For answers you get correct, make sure that the answer you wrote down matches exactly the answer choice selected. If it does, just move on – you don’t need to read the explanation or anything else from that question stem because you had the correct thought process and arrived at the right answer. If you get an answer correct but your written answer doesn’t match the answer given in the options exactly but is generally related, you have a small hole in your knowledge and need to read the summary sentence at the end and add that to your written answer in your notes. If that still does not clarify the connection you missed, you should review more of the explanation. If you get an answer incorrect, you repeat the same process as above but read the entirety of the explanation because this is a clear hole in your knowledge. The reason I’m recommending that you choose the answer that best matches the answer you’ve written, instead of choosing the ‘more right’ answer, is because it will be easier to correct that hole in your knowledge. If you change your answer and get it right, you’re less likely to take the reviewing process as seriously because you got it right but it’s still a hole in your knowledge. On the real exam, if you’re 200% sure that the other answer is correct and the one you came up with on your own isn’t, of course you should pick the right one. But when you’re doing practice questions, you’re still learning and you learn the most from questions that you get wrong. Also, I usually use a different color pen to add my notes for questions I get correct (usually blue) and questions I get incorrect (usually red). If I’m ever reviewing this notebook, I usually focus on the notes I’ve written in red since those indicate the biggest holes in my knowledge. Don’t get hung up on how many you get right or wrong. Focus on improving your technique and finding the holes in your knowledge. As you get more comfortable with the new technique, you should not have to write out as much and start doing the question sets in timed mode. And, of course, this technique may not work for everyone. It’s just something that I’ve been trying and feel more comfortable with. Happy studying! I’m always wary of attending a different masjid for the first time. I feel anxious at just the thought of finding the sisters’ entrance, which always seems to be hidden for some reason. But I’ve been feeling really distant from God lately and so I decided to set my anxieties aside and join hubs for jummah prayers. The “sisters’ entrance” confusion was so real the second I got there – while there were many signs for the “main entrance,” I knew this probably didn’t apply to me so I went on a choose-your-door adventure and opened up random ones until hubs finally found it. I walked inside so see this wooden partition standing between the men & women’s area and my heart sank a little. So much of really connecting with a speaker and their message requires being able to actually see them – see the body language, why he’s emphasized certain things, do some lip reading when you’re not sure what he’s said. So I walked over to a part of the sisters’ area where the partition wasn’t blocking my view. I set down my wallet and was about to make up my Fajr salat but immediately an elderly lady sitting in a chair started shouting that I need to go to the back of the room & stay behind the partition. I was so flabbergasted that I didn’t really know how to respond and just moved. If I had the chance now, I would ask her how my standing there affected her? I would ask why she believed this partition, something that never existed in the Prophet’s masjid, was necessary? I’d ask her why she thought it was SO horrendous that I wanted to see the khateeb that she started shouting in the middle of the khutbah to get my attention? As I was trying to understand the khutbah from behind the partition, I noticed that there was a section up above for the sisters. I thought ‘OHHH, that makes sense! This is just the part for the women who feel more comfortable behind the partition or don’t want to go upstairs. I probably shouldn’t judge so quickly.’ So I walked upstairs and notice it immediately getting warmer and warmer. I also notice that the sound of the khateeb speaking is getting softer and softer. I walk inside the sister’s section upstairs and realize that, while I can finally see the khateeb below, I can’t hear anything he’s saying. There’s a screen and a speaker but neither is turned on. But I’ve missed most of the khutbah in trying to figure out how to actually see it so I sit down and try to listen. In the couple minutes that I was up there, I likely understood 3-4 words at most. So again, I came back downstairs and found a little corner in the back where I could sit and somewhat see and hear the khateeb. Even when we lined up for salat, half a suff was empty because the partition did not cover that part. 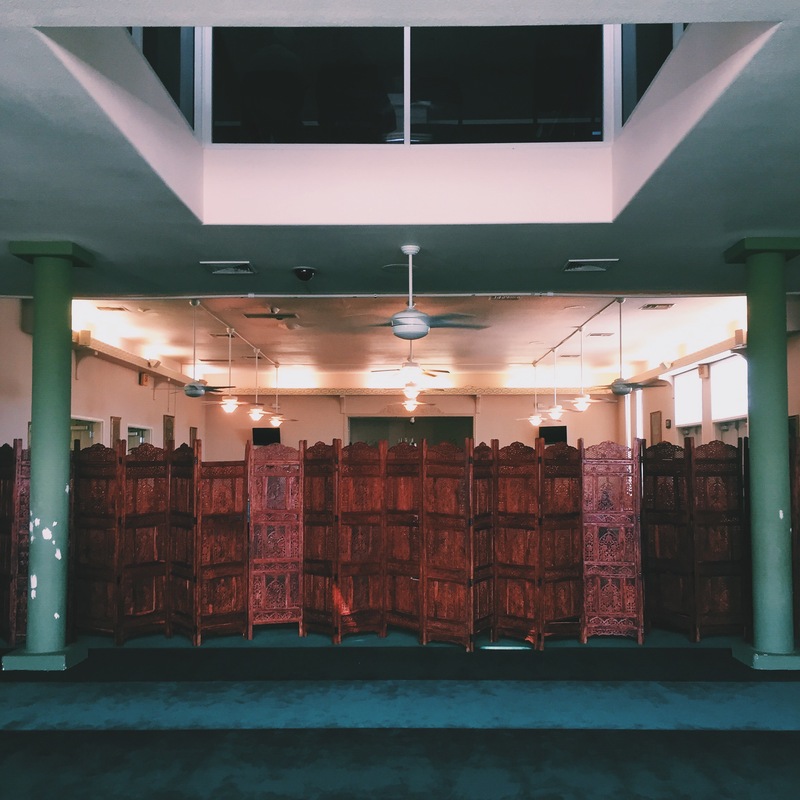 After prayer, I sat and thought about how blessed I am that I grew up at a masjid that, for the most part, tries hard to ensure women aren’t treated as second class Muslims. I thought about all the times I’ve been traveling and prayed in places where I could never connect, where I was but in an almost literal box & made to feel like I was only a source of fitnah for the brothers and not a woman who was there to better herself and deepen her relationship with God. Why is it my responsibility to ensure the men do not have any impure desires while we are in the house of God? I have just as much a right to be there as any other man and yet I’m often cast aside or made to feel like an inconvenience. The only positive interaction I had was a sister who came to me after salat and told me she liked my hijab, with a huge smile on her face. She’s likely the only reason I would go back. If you see someone new enter your community, please treat them with kindness and compassion. After walking back to the car, I started telling my husband about what happened and just broke down. After years and years of praying and worshipping in inferior settings, it just all came gushing out. I told him how jealous I was that he could simply walk into a masjid, sit amongst his brothers under wonderful lighting & fans and simply listen. How deeply hurtful it was to feel inferior in the house of God when my faith is the exact reason that I am a feminist. How un-Islamic all this is. He was immediately horrified and promised to talk to one of his classmates who is involved in the masjid about my concerns (ladies, marry a feminist – it’s seriously the best). And we drove off and got Rita’s and I tried to forget the whole thing. And before I go and pass judgements on other communities, I have to recognize that mine is also very flawed: we don’t do right by families who come to the masjid with children, the leadership often makes very problematic statements, we lose children to suicide but no one ever makes mental health a priority. So we all have our problems, and while this was my first time attending this masjid & I may have just caught them on an ‘off’ day, I know that none of the other deeply rooted problems in our society can be corrected unless we allow women to safely enter and participate in these spaces. While they were doing the announcements after salat, a group of young girls were trying so hard to see through the cracks in the partition. They’re young and curious and likely feel less than because they were barred from engaging and participating. They may grow up thinking that God believes them to be inferior and that’s why they must stay behind. But my young sisters: God does not think you are less. Man does. And he is wrong. You are queens. I hope that you learn that along the way. To all my sisters who constantly face these injustices: I’m so sorry. 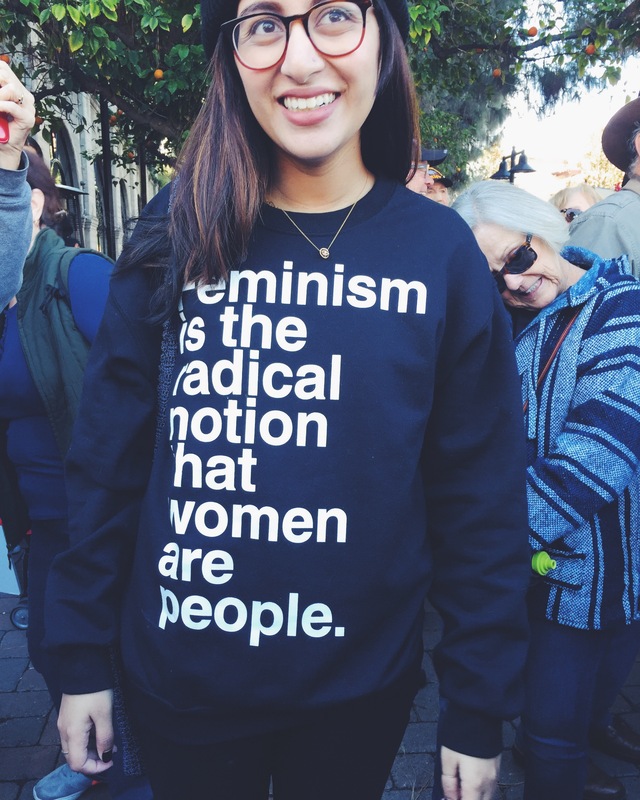 We must continue to work to better these spaces for us and those who will come after us. You can read more about women’s experiences at various mosques at: Side Entrance.